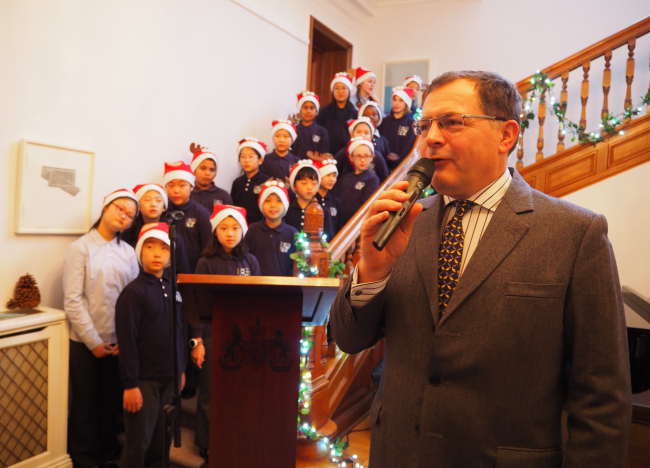 British Ambassador to Korea Charles Hay speaks in front of the children’s choir of the Seoul Foreign British School at the Christmas reception at the envoy’s residence in Seoul on Wednesday. On Saturday, the envoy participated in a ceremony remembering the old site of the British legation during the 1950-53 Korean War in Busan. During the war, in which some 80,000 British troops fought and 1,100 died, the embassy in Seoul moved to Busan. 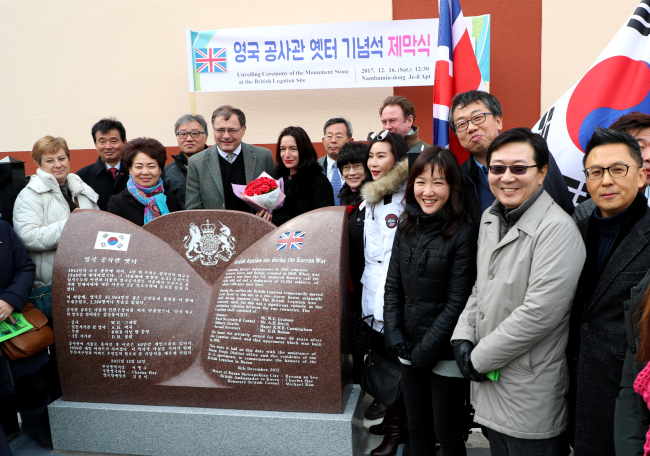 Hay, Embassy Deputy Head of Mission Sue Kinoshita, Rep. Yoo Ki-june, Honorary Consul Kim Moon-ik and members of the Korea Britain Society and local community unveiled a memorial at the venue.